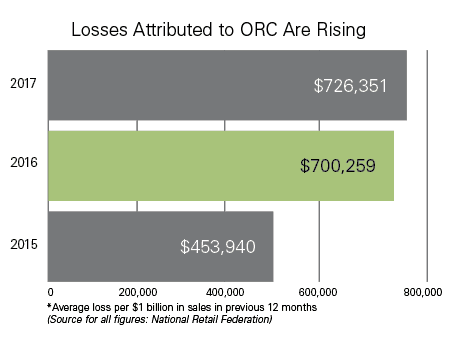 Organized retail crime (ORC) is a significant source of loss for US retailers. Exactly how significant is notoriously difficult to tease out, but new data from the National Retail Federation (NRF) puts average losses at $726,351 per $1 billion in sales, with a median loss of $260,870. 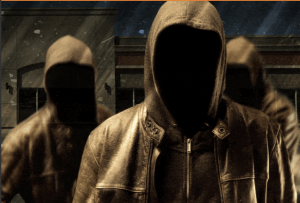 In addition to high losses, retailers are also witnessing a growing amount of ORC activity in their stores, according to the NRF’s 2017 Organized Retail Crime Survey released in November. Two out of three responding retailers said ORC has worsened in the last twelve months compared to the twelve months previous, with 30 percent reporting a “significant increase” in ORC. 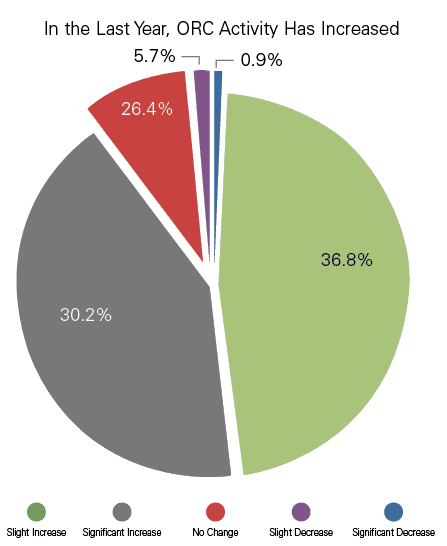 Fewer than 7 percent said ORC has decreased during the same period. 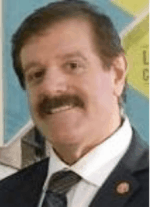 “Organized retail crime continues to be one of the biggest challenges to retailers of all sizes…with criminals getting smarter, more brazen, more aggressive,” according to Bob Moraca, CPP, CFE, MBA, vice president for loss prevention at the NRF. As for what’s driving the increase, ORC investigators on the front line point the finger at problems well beyond a store’s front door. “It’s drugs,” said Mike Powell, an ORC investigator for Kroger. “There is no doubt the oxy epidemic is driving ORC business.” Nathan Bandaries, an organized retail crime manager at Albertsons, agrees. “Ninety percent of the boosters we catch are on drugs. They wake up desperate because they only have a matter of hours to ‘get well’—to go steal and navigate to their dealers. It’s a cycle that repeats itself, day after day,” said Bandaries. Only 17 percent are currently adding staff resources, a marked decline from 2016 when more than 40 percent of retailers added personnel to fight ORC. Those figures are worrying as a consensus of experts suggests that highly trained and dedicated security teams with a sufficient budget, often working with law enforcement to identify and prosecute offenders, have proven to be the most reliable way to impact ORC rings. The leveling off of resources to fight ORC may be a consequence of another point of concern in the new NRF data. Although select years have seen spikes, the percent of retail respondents that think top company leaders appreciate the severity of ORC is largely unchanged over the last decade. “The trend is moving away from staffing at the retail end, and some retailers have lost their ORC programs altogether,” noted Sgt. Rich Rossman, vice president of the Coalition of Law Enforcement and Retail (CLEAR), a partnership created in 2008 to encourage cooperation between retail corporations and law enforcement agencies. The problem is compounded by the rise in violent crime in some areas of the country, which has forced law enforcement to shift its attention away from property crime investigations toward public safety, he added. For retailers, being able to identify the bottom line impact of ORC is crucial to combat it, according to Rossman. “Some retailers have done a phenomenal job—and are adding to their ORC programs. Those are the ones that can peel back the layers of the crime to identify its true impact. For example, when a crew goes in and wipes out ten SKUs, looking a little deeper at that and understanding that because products are not on the shelves, they’re losing that revenue.” It’s that type of full accounting and understanding of the problem that retailers risk losing if they scale back funding and staffing ORC units, according to Rossman. “That’s all dependent on whether retailers dedicate the resources and manpower that’s required,” he said. Perhaps the worst-case scenario for LP is a sort of death spiral, in which fewer resources allocated to ORC makes it more difficult to identify ORC as being the cause of loss, which in turn suggests that ORC is becoming less significant, which leads to less management concern. The cycle might then repeat: even fewer resources, even less ORC data capture, even less management concern, and still fewer resources. To read more survey data and expert recommendations, check out the full article at “ORC Is Worrisome, Worsening… And at Risk of Becoming Ignored?“, which was originally published in the January-February 2018 issue of LP Magazine. This excerpt was updated October 25, 2018.